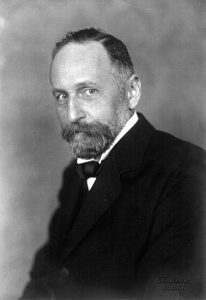 Richard Willstätter (1872-1942) 1915 Nobel Prize in Chemistry. August 3 marks the passing of Richard Willstätter. Willstätter was a German chemist who discovered the chemical structure of chlorophyll. Willstätter made a career of the study of the chemicals derived from plants. His doctoral dissertation was about the structure of cocaine. He continued working with alkaloid plant extracts where he managed to synthesize several including atropine and tropine. Under the advisement of a professor, he began to investigate plant pigments. This line of research introduced him to chlorophyll. Chlorophyll is the pigment responsible for the green in plants. It is also important to photosynthesis, the process where plants absorb light to process oxygen and carbon dioxide. Willstätter discovered chlorophyll was actually two different molecules, chlorophyll a and chlorophyll b. His research into these molecules and their role in photosynthesis and enzyme activity were a pioneering role in the study of biochemistry. He would receive the 1915 Nobel Prize in Chemistry in recognition of his contributions to plant chemistry, chlorophyll in particular. During World War I, he was recruited by Fritz Haber to work on Germany’s chemical weapon program. He declined to work on the poisons themselves, but instead worked on protection from the weapons. He developed a three layer system of filters that absorbed all the known Allied gases. Willstätter retired in 1924 when he could no longer tolerate the increasing anti-Semitism movement in Germany. At age 53, he simply walked away from chemistry. He spent the remainder of his life in Switzerland. 1959 – Koichi Tanaka was born. 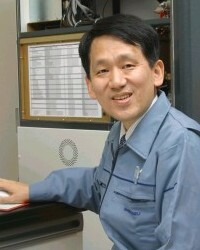 Tanaka is a Japanese engineer who shares half the 2002 Nobel Prize in Chemistry with John B. Fenn for the development of soft desorption ionization technique for mass spectrometry of large biological molecules. He discovered that proteins could be ionized with lasers and retain their structures if they were mixed into a mixture of glycerol and an ultra fine metal powder. 1851 – George Francis FitzGerald was born. FitzGerald was an Irish physicist who independently of Lorentz, proposed that moving bodies contract relative to the direction of motion. This would be called the Lorentz-FitzGerald contraction and lead to Einstein’s theory of general relativity. 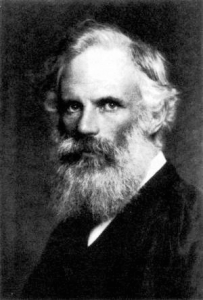 His work verifying Maxwell’s equations for electromagnetic fields led him to propose a method of generating electromagnetic waves by oscillating electric currents. This method would eventually be used in the invention of wireless telegraphy. 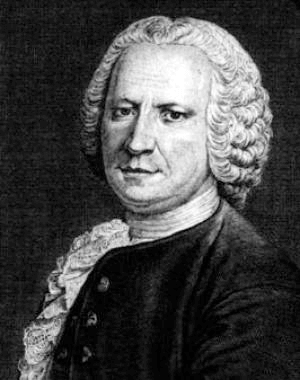 1770 – Guillaume François Rouelle died. Rouelle was a French chemist and apothecary who introduced the concept of salts. He showed acids and bases mixed together would form salts and there were acidic, neutral and basic salts. He also explained how the dehydration of sulfuric acid works. Rouelle also formed the first chemistry school in France.